Back issues of the Bulletin can now be viewed online for free at the Biodiversity Heritage Library. The digitization was paid for by a grant from the Institute of Museum and Library Services. We also publish selected articles from past issues of the Bulletin. The Washington Park Arboretum Bulletin, a quarterly botanical and horticultural journal, is a benefit of Arboretum Foundation membership and includes in-depth articles on Arboretum collections and history, as well as information of interest to botanists, gardeners, and plant lovers in the Pacific Northwest and beyond. 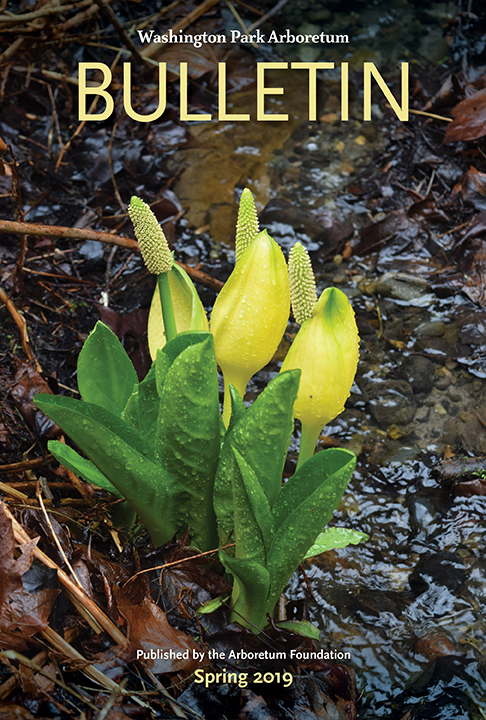 You can also purchase the Bulletin at the Arboretum Shop for $5 per copy. For information on advertising opportunities in the Bulletin—or to submit an article idea—please email the editor, Niall Dunne, or call him at 206-325-4510.